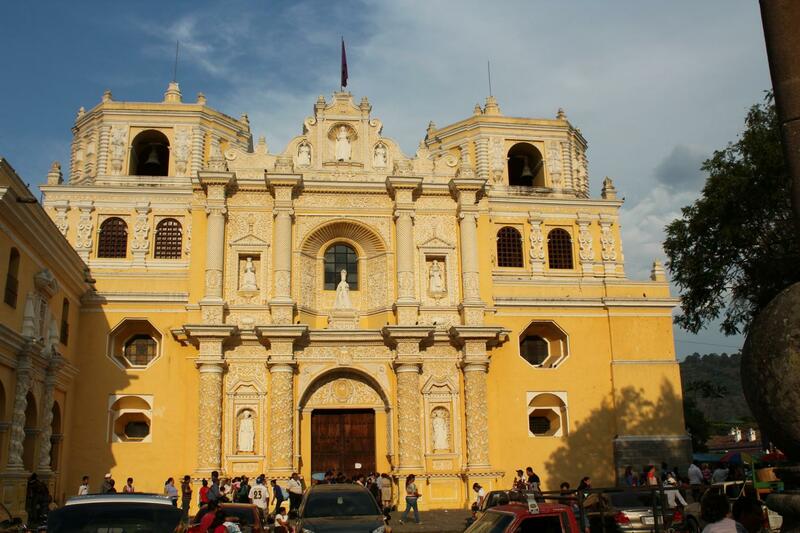 Visit La Antigua Guatemala, a town where time stood still. Once, the third largest city in all of Spanish Colonial America and for 200 years the capital of Guatemala, it is today a peaceful, beautiful and partially-restored colonial city. Cobblestone streets wind through the city of majestic churches and monasteries. You will be picked up at your hotel in Guatemala City and transferred to La Antigua Guatemala to visit the surrounding villages just outside the city: San Antonio Aguas Calientes, San Miguel Dueñas, Ciudad Vieja , and San Juan del Obispo. Next, you will begin our 3.5 hour soft walking tour of Antigua. You’ll visit Central Park, Cathedral of San Jose, Arch of Santa Catalina and La Merced Church. The Central Park is located at the heart of the city, surrounded by the traditional grid pattern frequently utilized in Spanish urban planning in the colonies. The park is surrounded by the Palace of the Captain Generals, City Hall, the church of San José (formerly the Cathedral of Guatemala), the Archbishop’s Palace and the Portal of Commerce (or the Bakers’ Portal). Here, visitors will also find the Mermaid’s Fountain. The Count of Gomera (Gomera is the word for a rubber plantation) built the fountain in remembrance of a popular legend, which tells the story of a King whose daughters gave birth but did not want to nurse their children. Learn about this famous story as you immerse in the city. Next, you will explore the Cathedral which was constructed between 1543 and 1680 with an elaborate baroque façade typical of antique churches. The Cathedral has smooth columns, a body and a belfry that was rebuilt after the Santa Marta earthquake in 1773. Then you continue to the Arch of Santa Catalina. This institution was established in 1609, and the nuns in this temple and convent were cloistered. The temple was inaugurated on the 15th of September, 1647. In 1694, the construction of the arch was finished and it served as a bridge to connect the convent with the gardens on the other side of the street. At the end of the tour, you’ll be transferred back to your hotel in Guatemala City. The order of the itinerary may change. Typically, during the morning, we do an Antigua Walking Tour and during the afternoon visit the surrounding villages and a macadamia plantation. Adolfo is a fabulous tour guide. He's very conscientious and provides relevant information. He knows the city very well and is flexible and accommodating. We had a great experience! Great information, plenty of time spent in each spot and felt very secure.